You’ve been working hard and the people that matter are starting to take notice. Take pride in doing a good job. You’re becoming a master at your trade. Mastery requires not only technical skill, but also an appreciation for the art in what you do. When you care about your job or the tasks you’ve taken on, the work involved is rarely a chore. Look at your tasks as the creative processes they are. Whatever you’re doing, you’re creating something, bringing something new into the world. Consider your role as creator with the seriousness it deserves. 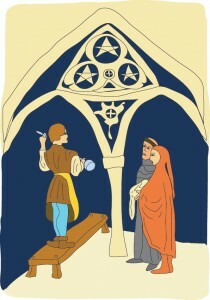 You are currently reading Tarot Card of the Day – 11/26/10 at The Tarot Room.